Is Buying a Demo Car a Good Deal? Here at Auto Credit Express we realize that the high cost of a subprime auto loan means that borrowers with bad credit need to get the very best deal possible – especially if they plan on financing a new car. While few in number, one way new car buyers can sometimes save money is by choosing a demo vehicle. 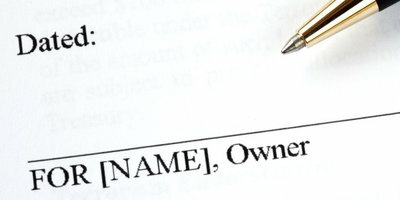 What Does Buying a Demo Car Mean? 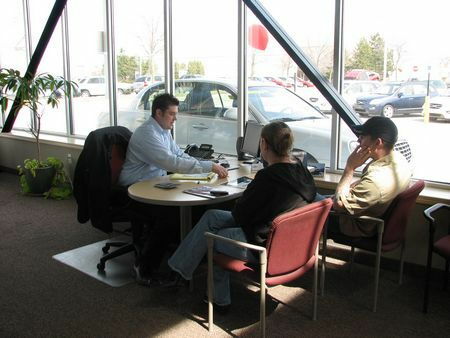 Demonstrator cars – more commonly called demos – are vehicles used by car dealerships for test drives. In many cases, the dealership's managers (and, in a few cases, salespeople) also use demo vehicles for driving to and from work. These vehicles also usually come from a dealership's own inventory because, typically, they haven't been sold or titled yet. This means they are still classified as "new" cars. Since these vehicles are still new, they should still qualify for all manufacturer rebates and incentives. We say "should", because some manufacturers place limits on the number of miles a vehicle can have – even one that hasn't been titled – in order to qualify for certain incentives and rebates. Don't confuse a "program car" for a demo. Program cars have already been titled and are used by the manufacturer for everything from press vehicles to "brass hats" – those driven by higher-level employees. These vehicles can have as many as 10,000 miles or more. Be sure to verify the history of the vehicle with the salesperson the same as you would a used car. Request a vehicle history report and, before buying, have it inspected by an ASE Certified Master Mechanic and a body repair specialist to be sure there is no hidden damage. Check the in-service to be sure it will start when you take delivery, otherwise you could lose out on months of warranty coverage if the in-service date coincides when it was placed in demo service. Although there is no policy for compensating for the number of miles already on the vehicle, in 2014 the IRS uses 23.4 cents per mile driven to calculate the cost of using a vehicle for medical or moving purposes – so deduct at least 20.0 to 25.0 cents for each mile driven (in most cases, the more expensive the car, the higher the per mile deduction should be, since, generally, the more expensive a vehicle is, the greater its depreciation will be). Be sure the vehicle hasn't been titled. If it has, it's a used car. If the vehicle is new, in addition to the lower price due to mileage, it should also qualify for any manufacturer new car rebates and incentives. 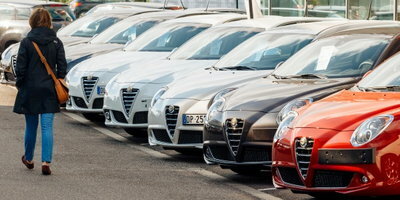 Purchasing a demo car is a great way to save even more on a new vehicle. Just be sure it hasn't been titled or damaged and that the additional discount for mileage is fair. One more tip: Auto Credit Express matches consumers with past credit issues with the dealers that work with bad credit near you that can offer them their best opportunities for approved car loans. So if you're ready to establish your auto credit, you can begin now by filling out our online auto loan application. Could You be the Victim of Odometer Fraud?